Montagne-Saint-Émilion is a satellite Appellation d'origine contrôlée (AOC) for wine in the Bordeaux wine region,5km to the north of the town of Saint-Emilion, in the Libourne region and on the right bank of the river Dordogne. Its AOC status was established in 1936, for wines produced on the land of the Montagne commune or in its hamlets, Parsac and Saint-Georges. It covers approximately 1,600 hectares, with a production of 80,000 hl. 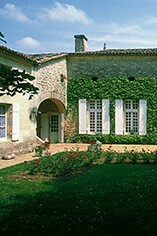 Only red wine production is approved under the Montagne-Saint-Émilion AOC. 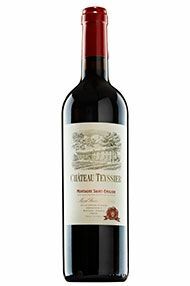 The classic grape varieties from Bordeaux are planted - Cabernet Sauvignon, Cabernet Franc, Merlot, Côt (Malbec) etc., although it is Merlot is predominant on the vineyard and the blend.